For people who like cars, but also need significant load-hauling capability, there are not a lot of options. Most wagons, vans, and trucks come with automatic transmissions, and there are not very many multipurpose options. 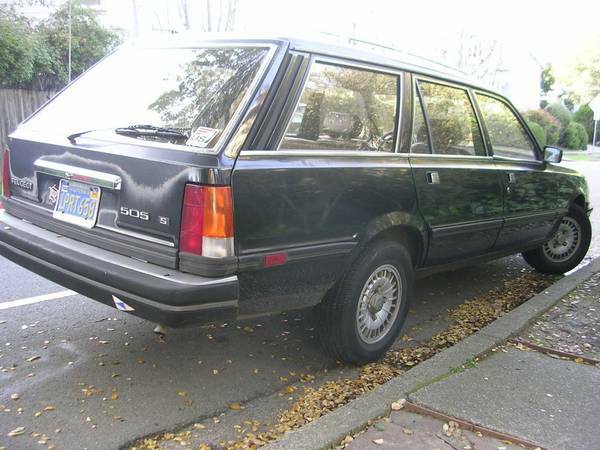 Furthermore, since the demise of Saab, and with the long-ago departure of Citroen, Peugeot, and Renault from North America, and the much more design-oriented focus of the remaining luxury makes in recent years, there aren’t many luxury cars that will also let you haul the occasional arm chair or Christmas tree. 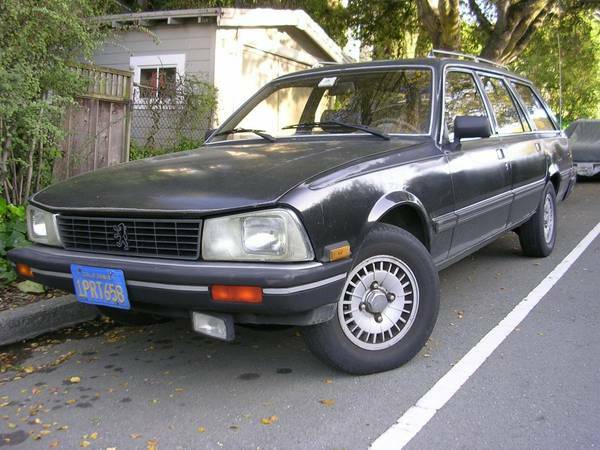 So we have to look back to the past, and specifically at this 1985 Peugeot 505S for sale for $2000 in Corte Madera, CA. Attrition seems to have made these durable, cool cars a rare find, so while this one’s condition is not perfect, you’ll have to look for a while before finding another. Sure, they’re 30ish years old now, but compare this to the number of W123 Mercedes or 140/240 Volvos you find still driving around (well, in car-friendly climates at least), and you’ll notice this car is comparatively rare. It’s always amusing when the car is said to be really clean, but there’s mud spray behind the wheels and leaves on the bumper. The paint also has the somewhat-typical for the 1980s and 1990s oxidation, where the upward facing surfaces of the car have suffered from the sun. That said, the car looks remarkably straight, and seems to be dent- and rust-free. Blue plates (and the oxidation) suggest the car’s been in California all its life. 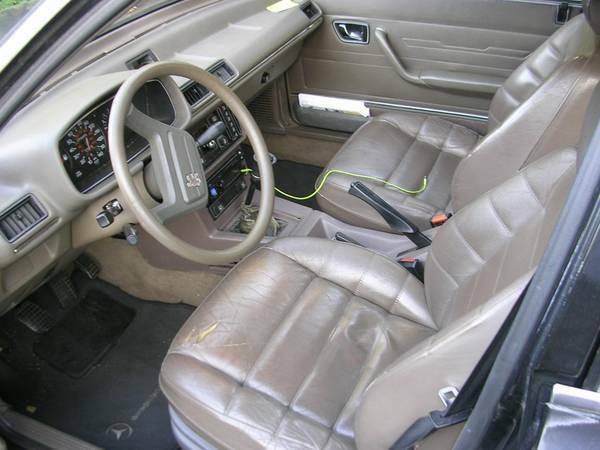 The interior is also said to be clean, barring a few splits in the upholstery. The dash looks to be crack-free, and the stereo has been upgraded to a modern, Bluetooth-compatible unit with new speakers. The heat and air-conditioning are said to work well, as are all the indicator lights, power locks, and power windows, and it’s said to have no rattles. 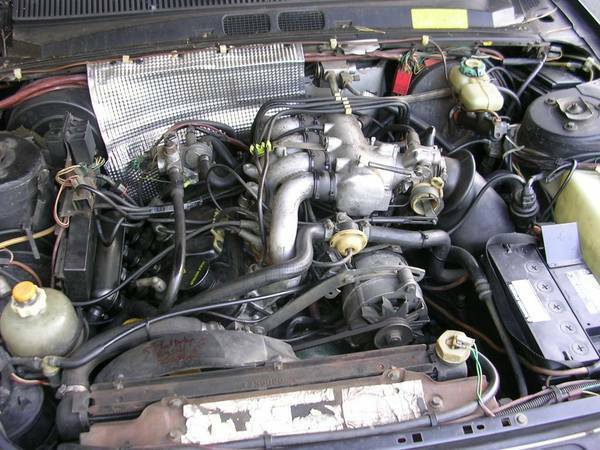 The XN6 engine is no beauty, but is said to run well, and the car has a recently rebuilt transmission, recent clutch, and good suspension, steering, and bumps. Being a 2.2-liter four, it’s not terribly fast, but then again, the beloved Volvo and Mercedes competition weren’t race cars either. The battery is also a few months old. As mentioned here before, people in many other countries have long ago discovered the virtues of these cars, and done a good job exploiting them. If you need an unusual family and parts hauler that will easily give another six figures’ worth of service mileage, you’d do worse than to take a look at this car. This entry was posted on May 5, 2014 at 2:02 pm and is filed under Feature. You can follow any responses to this entry through the RSS 2.0 feed. You can leave a response, or trackback from your own site.